Combining retro style and modern technology makes a kitchen both functional and stylish, and we can’t get enough of these vintage-style appliances. Mid-century style brought great new looks to kitchens as we know them. Rounded forms, chrome details and pops of color are all hallmarks of retro design that we still channel in our homes today. 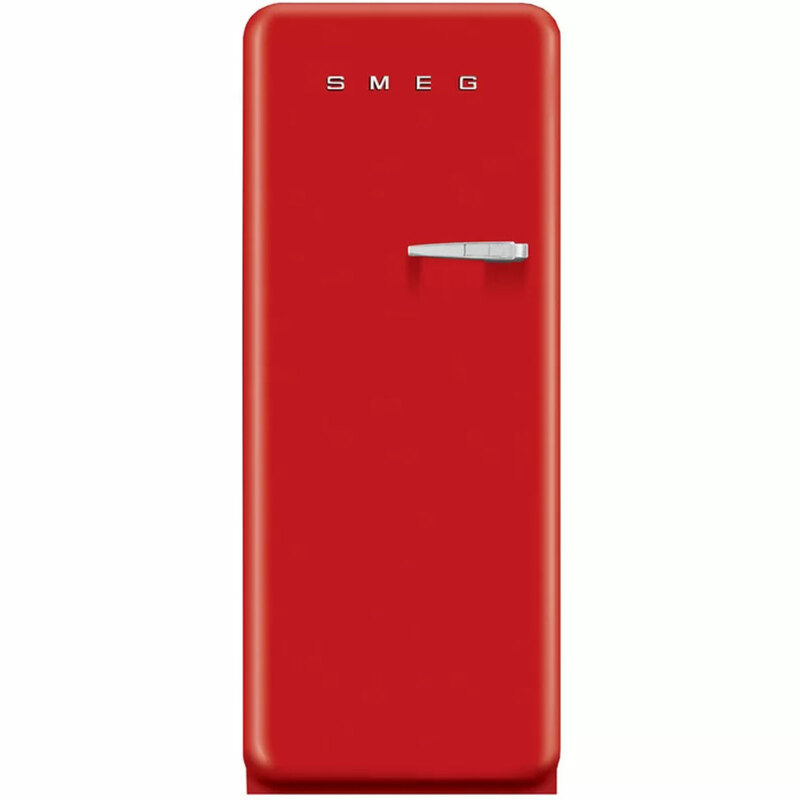 Brands like The Big Chill and Smeg still produce vintage style equipment for our modern kitchens, even Amazon has a dedicated section to fun and funky appliances in that category . We’ve rounded up some of our favorites from across the web, whether you’re moving into a new space (a dorm, a starter home) or you’re just looking for a splash of character for your current place. 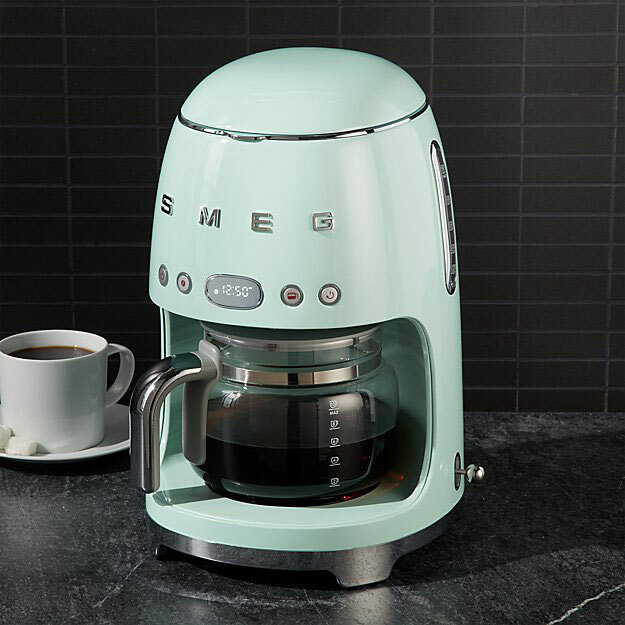 These coffee machines, fridges and microwaves have the pop of pastel you’re looking for. 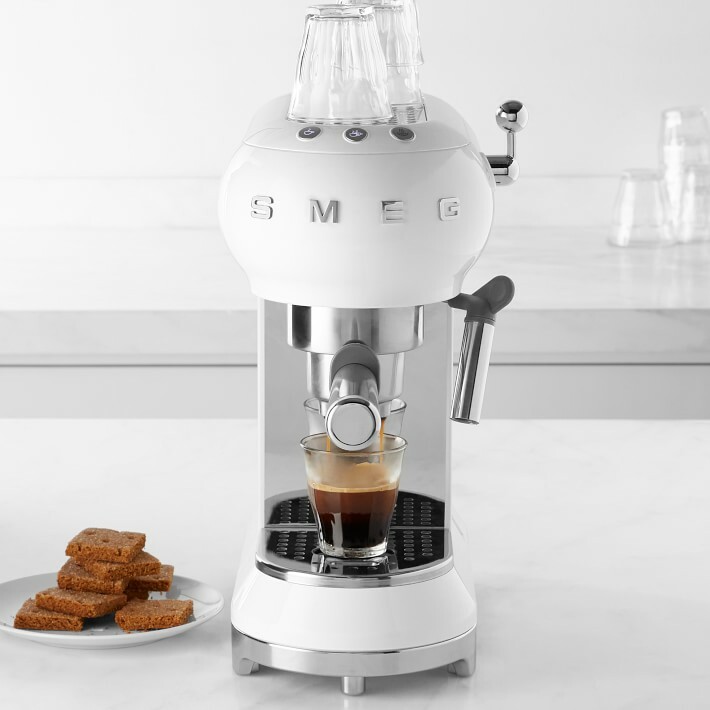 Channel an old school diner look (plus modern trimmings) with a classy espresso machine. 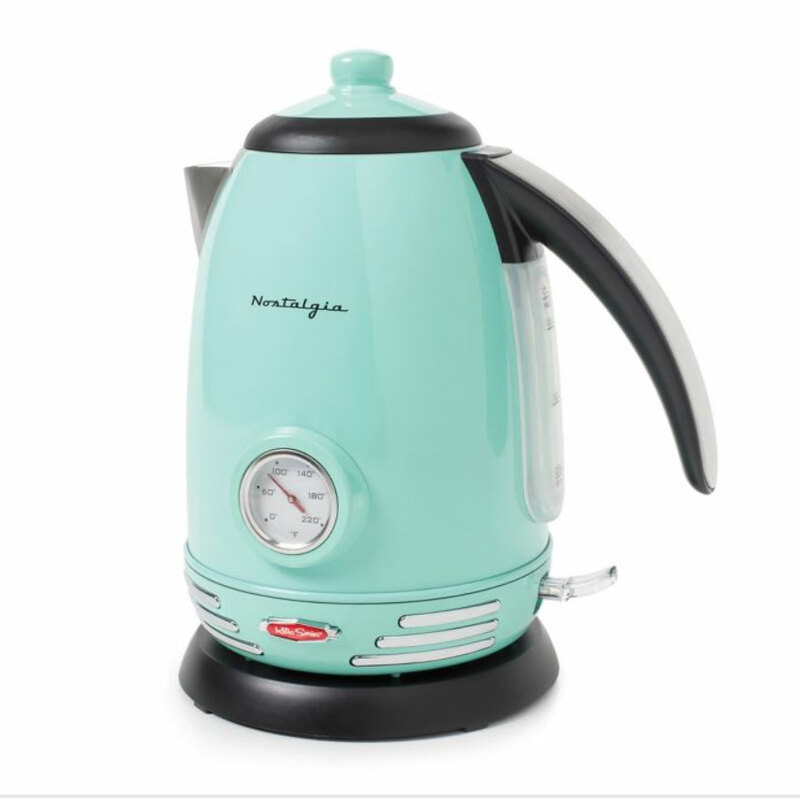 Bring a pop of color into your home for your morning coffee or afternoon tea with this retro electric kettle. A modern frame with a nostalgic design, this little refrigerator looks good anywhere from a home bar to a college dorm. 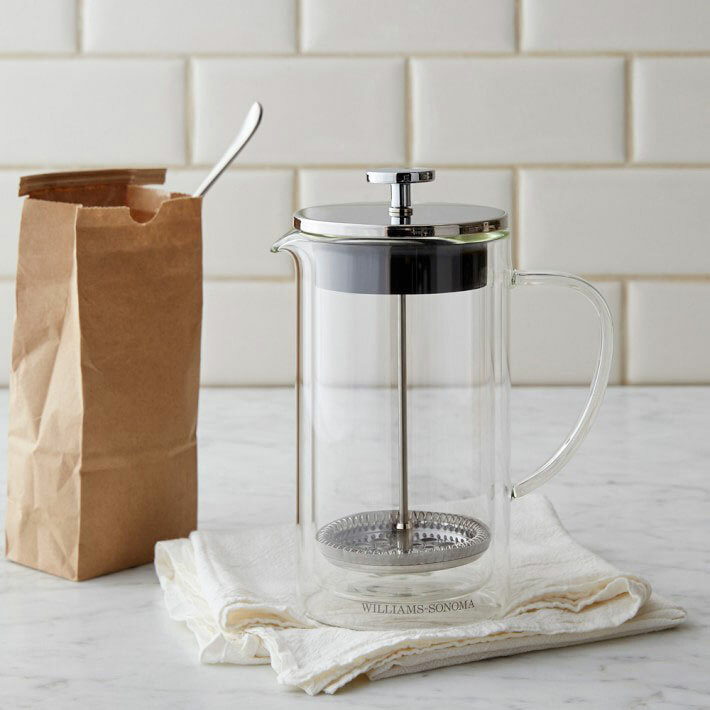 Sometimes simpler is just better when it comes to kitchen tools, and the double walled glass in this vessel is a welcome upgrade on a classic French Press. 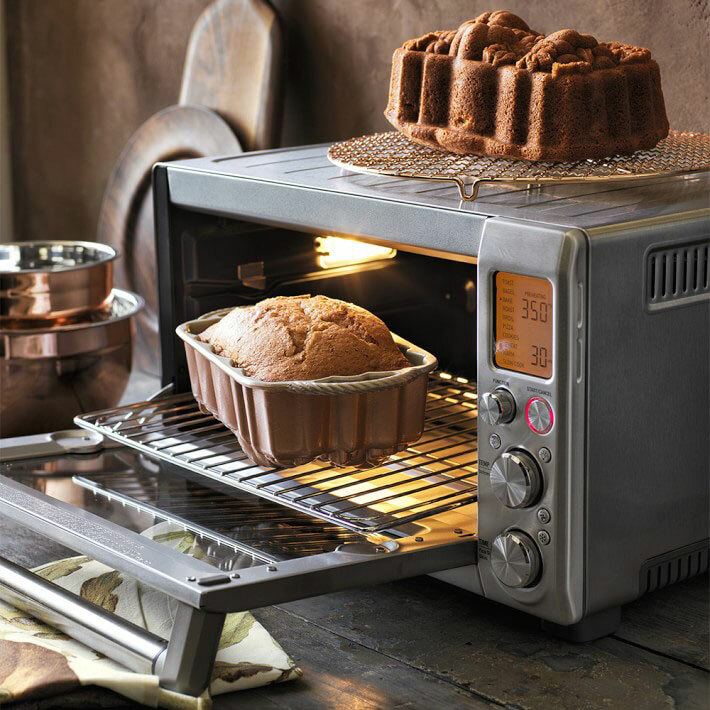 A countertop oven is decidedly retro, but this device is anything but archaic with 10 presets and a slow cooking option. 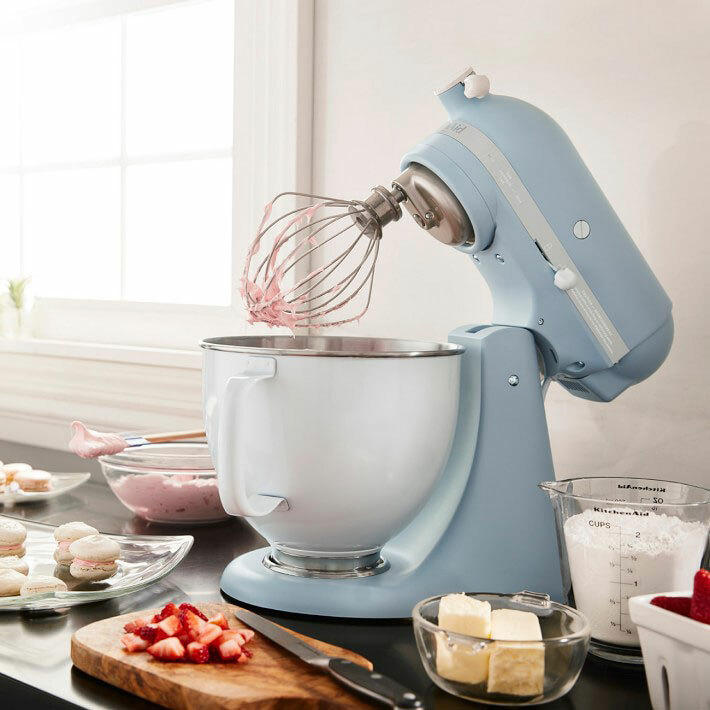 This beautiful blue is part of KitchenAid’s retro special edition artisan mixer, and it’s truly one-of-a-kind, down to the white stainless steel bowl. 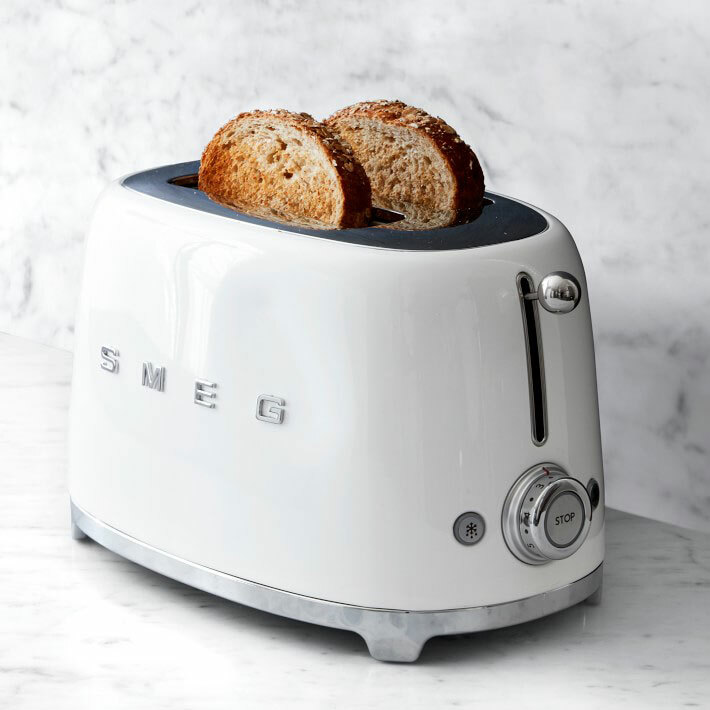 This toaster is another one of Smeg’s classic retro designs, and comes in several colors to fit in any kitchen color scheme. 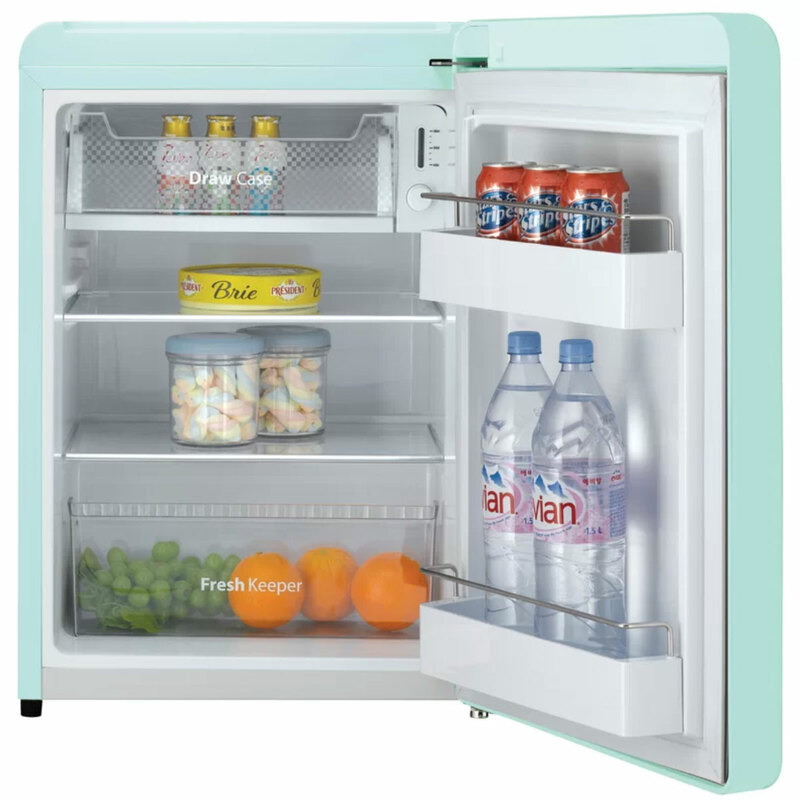 A latch door and am attached bottle opener make this fridge a crowd pleaser, as well as a vintage statement. 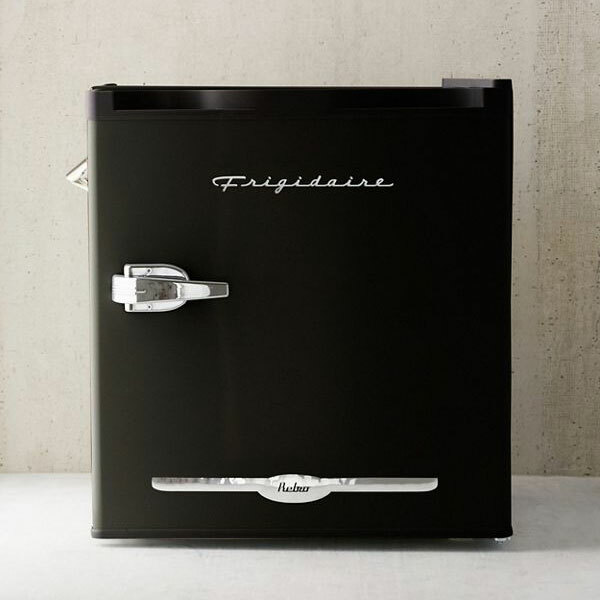 Make your fridge a design focal point in your kitchen with this 50’s style refrigerator. 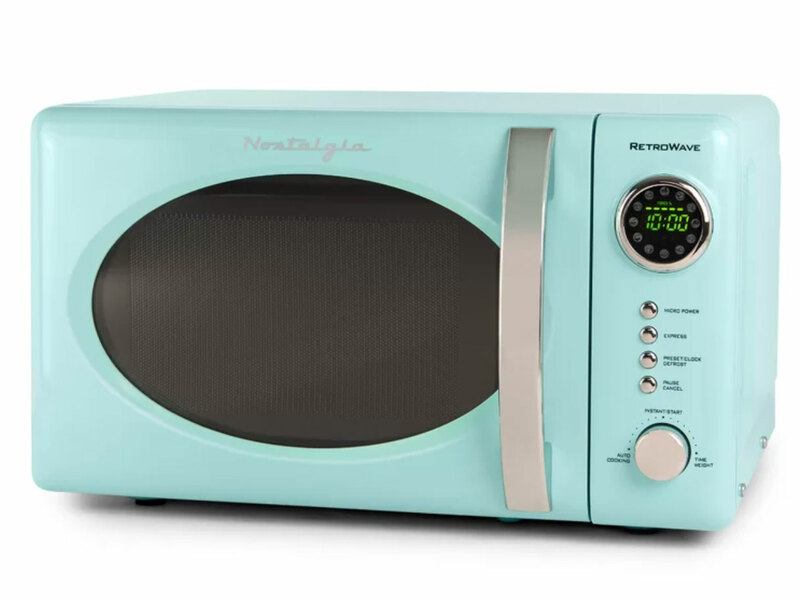 The classic aqua and chrome details make this microwave a statement on its own, and it has an turn and press dial that would impress the Jetsons just as much as the Cleavers. A great drip coffee maker in a hallmark 50’s design makes up to 10 cups at a time.